Insurance is a form of risk management in which the insured transfers the cost of potential loss to another entity in exchange for monetary compensation. Insurance allows individuals, businesses and other entities to protect themselves against significant potential losses and financial hardship at a reasonably affordable rate. Life insurance protects an individual against death. If you have life insurance, the insurer pays a certain amount of money to a beneficiary upon your death. You pay a premium in exchange for the payment of benefits to the beneficiary. Commercial auto insurance protects a company’s vehicles. You can protect vehicles that carry employees, products or equipment. With commercial auto insurance you can insure your work vehicles. Every business, even if home-based, needs to have liability insurance. The policy provides both defense and damages if you, your employees or your products or services cause or are alleged to have caused Bodily Injury or Property Damage to a third party. Worker’s compensation provides insurance to employees who are injured on the job. This type of insurance provides wage replacement and medical benefits to those who are injured while working. This type of insurance is also known as Errors and Omissions Insurance. The policy provides defense and damages for failure to or improperly rendering professional services. This type of insurance protects the directors and officers of a company against their actions that affect the profitability or operations of the company. End-to-end insurance management system that supports the entire insurance policy lifecycle of any Insurance Company. • Automatic rating eliminates errors and saves certificate preparation and premium calculation time. • Generates and tracks the issuance of all types of marine insurance certificates with duplicate printing controls. • Provides 3rd party certificate verification. • View policy information and other documentation online. • Ensures compliance to policy limits and conditions including government regulatory bodies. • Cross-references to the US OFAC list, FBI Most-Wanted and Interpol ensuring certificates are not issued to restricted parties. • Automated referral workflow and escalation process for out-of-coverage shipments. • Generates reports on premium and loss. • Template functionality simplifies certificate generation for repetitive shipments. • Quote Request functionality streamlines the processing of quotes for special case shipments. • Multilingual issuance in multiple formats with built-in flexibility for Letters of Credit. • Print draft and read-only PDF format. • Workflow management determines the business rules for Straight-Through-Processing and the rules by which business is referred to specific underwriters. • Process bordereaux declarations from Excel, ACORD XML, etc. • Automatically generates premium invoices in PDF format, Excel or through an internal accounting system which is then delivered by email based on specific client/policy rules and billing dates. • Automatically calculates adjustments for storage and shipment declarations. • Records individual premium bookings and miscellaneous charges. • Calculates charges and taxes based on specific countries associated with the risk and the assured. • Calculates TRIA premiums and numerous government and internal charges against premiums. • Provides billing period reports, including commissions and taxes associated with each policy. • Tracks accounts receivable; management system has the ability to query into individual invoices, payments and shipments. • Supports Direct Bill and Agency Bill Invoice methods. • Produces monthly, quarterly, semi-annually or annually branded invoices for brokers and underwriters for selected policies and present line item details. • Choose to record payments against these invoices per line item or on complete invoices. • Transaction workflows for new business, renewals (including automated renewals), endorsements (including out-of-sequence endorsements), cancellations, and reinstatements. • Underwriters benefit from a standardized quoting process enhanced through on-line collaboration and messaging. Working with broker portals, our policy-administration system can deliver fully automated quote-bind-issue functionality to brokers, agents and clients out in the field. • A wide range of billing and invoicing methods, including a powerful tax calculation engine to support centralized management of multinational programs. • Plug-in integration points with 3rd party data providers, rating engines and integration with Business Intelligence for reporting. Native support for ACORD standards. • Create and maintain insurance document templates using MS-Word. 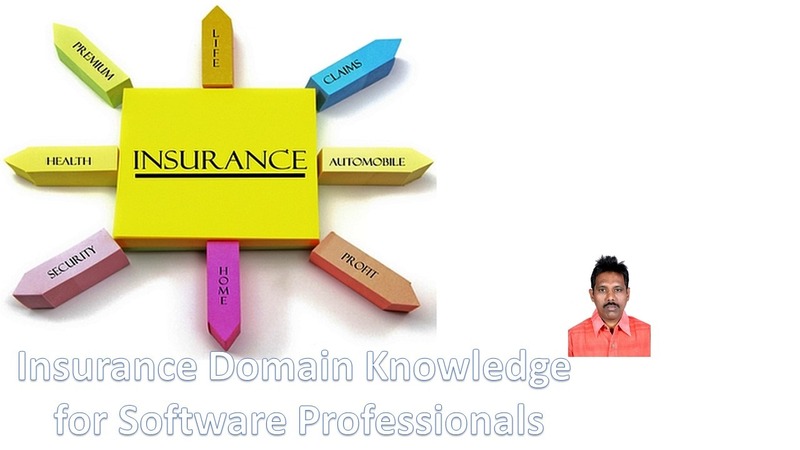 • Quickly and easily build business rules within the insurance document without any programing. • Use business rules to determine which documents can be issued and when. • Generate documents in editable docx format or as a secure PDF, combine multiple forms within a single PDF, or make each document available for separate issuance. • Maintain a library of industry clauses that can be pulled into issued documents. • Automatically generate and/or e-mail insurance documents based on the transaction type or triggered by a workflow event. • Preview generated insurance documents which, once accepted, are automatically stored with the policy, for on-demand retrieval and review. • Submission queues, task management, diaries and reminders help underwriters stay on top of your business. • Built-in collaboration tools and e-mail correspondence to improve communication with agents and other parties. • The underwriter workstation records a history of all communications, documents, activities and more, providing a full audit trail for internal and reporting purposes. • The underwriter workstation seamlessly pulls data from third-party providers for inclusion in the underwriting process. Accidental Death Benefit – In a life insurance policy, benefit in addition to the death benefit paid to the beneficiary, should death occur due to an accident. Agent -individual who sells and services insurance policies. Approved for Reinsurance – Indicates the company is approved (or authorized) to write reinsurance on risks in this state. Benefit Period – In health insurance, the number of days for which benefits are paid to the named insured and his or her dependents. Capital – Equity of shareholders of a stock insurance company. The company’s capital and surplus are measured by the difference between its assets minus its liabilities. Capitalization or Leverage – Measures the exposure of a company’s surplus to various operating and financial practices. Case Management – A system of coordinating medical services to treat a patient, improve care and reduce cost. Collision Insurance – Covers physical damage to the insured’s automobile resulting from contact with another inanimate object. Commission – Fee paid to an agent or insurance salesperson as a percentage of the policy premium. Coverage – The scope of protection provided under an insurance policy. Dividend – The return of part of the policy’s premium for a policy issued on a participating basis by either a mutual or stock insurer. Earned Premium – The amount of the premium that as been paid for in advance that has been “earned” by virtue of the fact that time has passed without claim. General Account – All premiums are paid into an insurer’s general account. Health Savings Account – Plan that allows you to contribute pre-tax money to be used for qualified medical expenses. Investment Income – The return received by insurers from their investment portfolios including interest, dividends and realized capital gains on stocks. Liquidity – Liquidity is the ability of an individual or business to quickly convert assets into cash without incurring a considerable loss. Loss Ratio – The ratio of incurred losses and loss-adjustment expenses to net premiums earned. Net Income – The total after-tax earnings generated from operations and realized capital gains. Personal Injury Protection – Pays basic expenses for an insured and his or her family in states with no-fault auto insurance. Risk Management – Management of the pure risks to which a company might be subject. Separate Account – A separate account is an investment option that is maintained separately from an insurer’s general account. Term Life Insurance – Life insurance that provides protection for a specified period of time. Umbrella Policy – Coverage for losses above the limit of an underlying policy or policies such as homeowners and auto insurance. Underwriter – The individual trained in evaluating risks and determining rates and coverages for them. Underwriting – The process of selecting risks for insurance and classifying them according to their degrees of insurability so that the appropriate rates may be assigned.